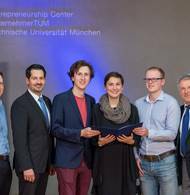 Three teams received the TUM IdeAward last night for their business ideas: a new method for synthesizing peptides, a disposable sample holder which speeds up laboratory work and an electric car for rural regions in Africa. The competition is intended to motivate scientists to turn their inventions into marketable products. 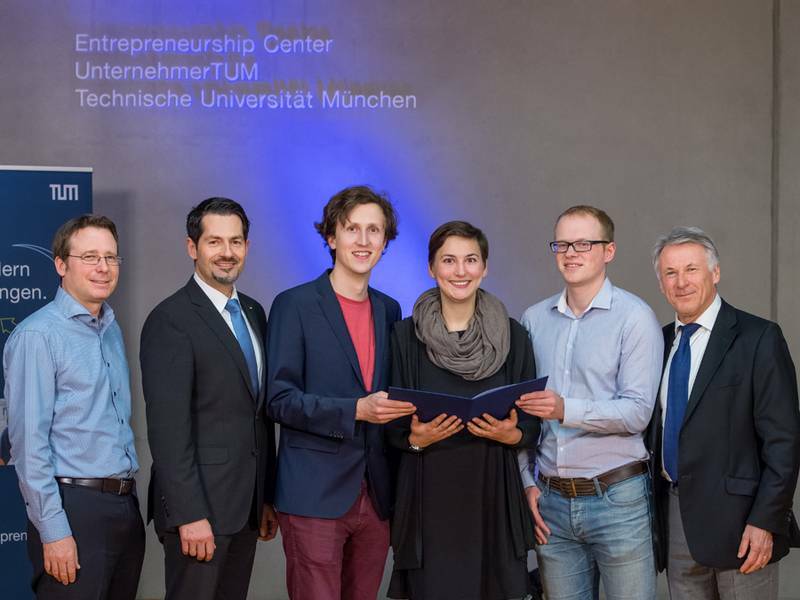 46 teams submitted their ideas for the TUM IdeAward. The competition is run by the Technical University of Munich (TUM), UnternehmerTUM, Center for Innovation and Business Creation, and the Zeidler Research Foundation, which is funding the total prize amount of € 37,500 Euros. 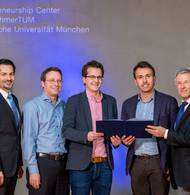 The winners will also participate in a coaching session led by TUM start-up consultants and UnternehmerTUM. The mk2 Biotechnologies team developed a biological process for synthesis of peptides in bacteria. Peptides are relatively short amino acid chains that can perform a large number of functions in combination with other molecules, both in pharmaceuticals applications and in production of foodstuffs and cosmetics. The new method has many advantages: It enables creation of individually designed peptides that are also extremely pure. The process is characterized by higher yields and lower costs than those involved in conventional methods. The team is planning to develop new product classes with high levels of complexity. Konstantinos Antonopoulos, Marco Giuman, Christoph Kutzner and Sebastian Mangold have either earned their doctorate at TUM or are today conducting research there in the fields of biotechnology, chemistry and economics (Chair of Biopolymer Chemistry and Wacker-Chair of Macromolecular Chemistry). Several professors are advising them as mentors. A number of potential customers have already signaled their interest to mk2 Biotechnologies, even before the founding of the spin-off. ATR infrared spectroscopy is a common method for analyzing a wide variety of samples. In the past the sample holders used had to be cleaned after each measurement. The ATR Elements team has developed a sample holder which is significantly less expensive to manufacture and can therefore be used as a disposable product. This will make it possible to investigate a significantly larger number of samples within the same amount of time. This could furthermore simplify the use of compact, mobile devices for ATR infrared spectroscopy. These devices could in turn make the procedure viable for blood analysis in everyday clinical use. Another advantage is the special surface structure of the sample holder, which makes it unnecessary to centrifuge the blood. A basic version of the sample holder is already ready for market. The team intends to form its spin-off in the near future and is already in close contact with possible customers. The foundations for the development were formulated by Lorenz Sykora in his Master's thesis; today Sykora works at the Walter Schottky Institut – Center for Nanotechnology and Nanomaterials. He is also a past participant in the UnternehmerTUM program "Manage & More". Team member and business economics graduate Alexander Geißler has already gained experience in another TUM spin-off, while physicist Anja Müller from Technische Univeristät Berlin is the team's application specialist. Low production costs, ruggedness and a solar-energy-powered electric motor: With these characteristics the "aCar" is to bring mobility to low-income people living in rural regions of Africa and thus to improve their access to health care and educational facilities as well as to commerce. The car comes in a basic version which can be supplemented with any of a number of structural add-ons. Thus it can be used to transport people or as a heavy-duty utility vehicle. All the materials used to make the car are to be available in Africa. An initial prototype has already been completed; Martin Soltes and Sascha Koberstaedt of the TUM Chair of Automotive Technology plan to present a second prototype in September at the International Motor Show IAA. The next step foresees creation of a sample manufacturing facility in Germany in order to optimize processes and costs. The team is working together with other TUM chairs, companies and partners in African countries. 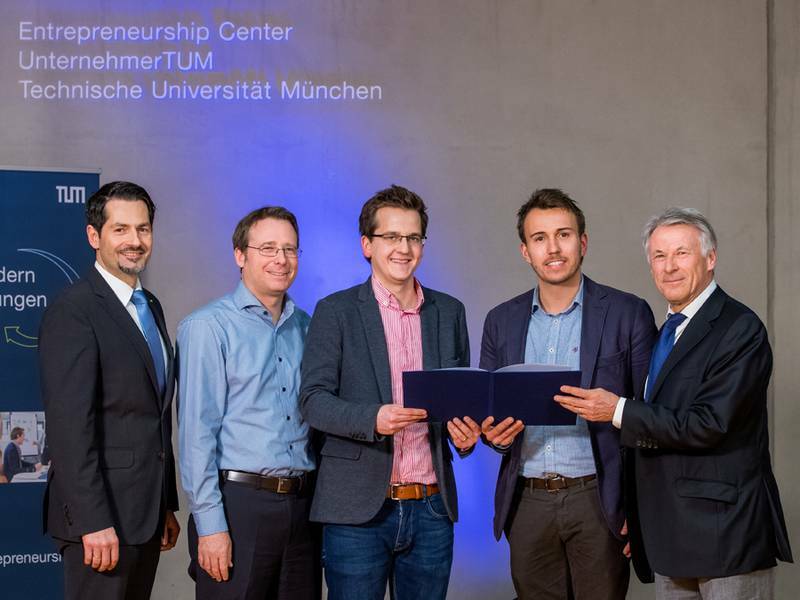 TUM and UnternehmerTUM support spin-offs at the Entrepreneurship Center in Garching from the first idea to the IPO with a range of services unique in Europe. Here start-up teams find an extensive range of opportunities for support, personal exchange with entrepreneurship researchers and access to a robust network of technology and industry sector experts and investors. Office space and Europe's largest publically accessible high-tech prototype workshop, the UnternehmerTUM MakerSpace, round out the service range available to corporate founders. More than 800 companies have been spun off from TUM since 1990.